My quest for ways to cut out sugar in savoury food continues. 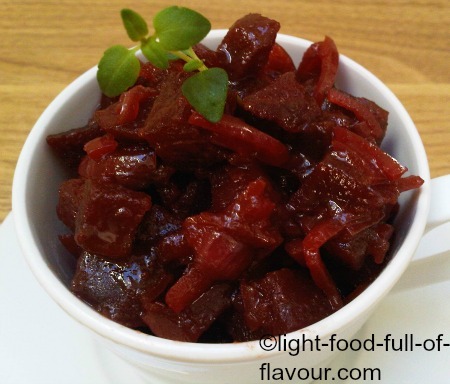 I’ve only added a bit of honey to this beetroot jam (beet jam) and it tastes AMAZING. A savoury jam usually has a fair amount of vinegar in it. 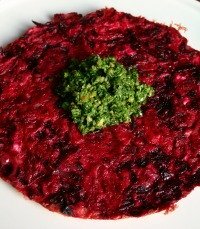 Combine that with the punchy and naturally sweet taste of beetroot (beet) and red onion and there is simply no need for sweetening it with loads of sugar. 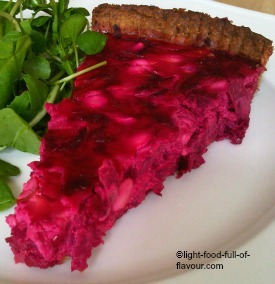 You must obviously be a beetroot lover if you’ve clicked on this recipe. 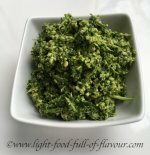 Those who claim to hate this vegetable are missing out on a LOT of health benefits – apart from the glorious taste of course! 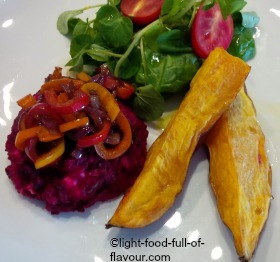 Beetroots are a rich source of potent antioxidants and nutrients (see Nutritional Information). Several studies have also shown that eating beetroots or drinking beetroot juice can lower blood pressure and increase stamina. This jam will go well with things like falafels, lamb chops, lamb burgers or sausages. And it is also very nice to eat with a bit of goat’s cheese, blue cheese or feta cheese. I made a sandwich for myself the other day with toasted sourdough bread topped with Gruyère cheese, cooked and sliced chicken breast and beetroot jam. Yum! I am using cooked beetroots in natural juice for this jam - you can find some really good organic varieties in the U.K. 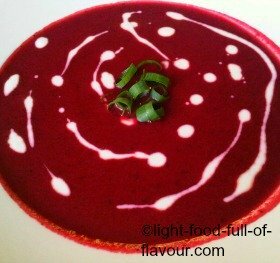 If you are not as lazy as I am, you can of course use raw beetroots. Cook them until they are almost done before continuing with my recipe below. 1. Heat the oil in a sauce pan, add the sliced onion and cook over a low heat for about 10-12 minutes – stirring every now and then to make sure the onion doesn’t burn - until the onion is soft. Add the diced beetroots, red wine vinegar, balsamic vinegar, honey, water and salt to the sauce pan and stir. 2. Bring to a boil, lower the heat and simmer for about 10 minutes - until most of the liquid has evaporated. Take the sauce pan off the heat and let the jam cool down. This beetroot jam will easily keep for a week if well covered and stored in the fridge.